Featuring impressive columns and topped with an architecturally pleasing lattice-structured roof, a pergola is a welcome and beautiful addition to any patio, deck, or garden in the St. Louis area. 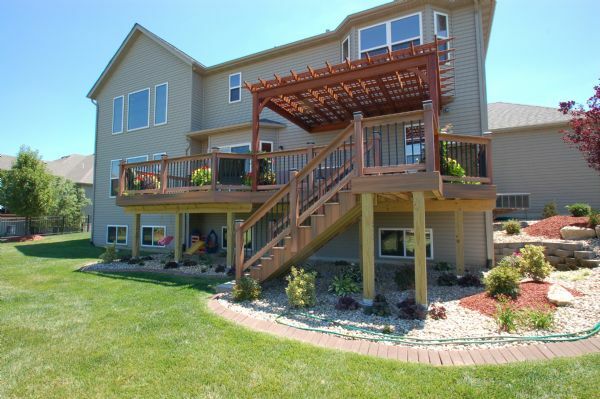 California Custom Decks offers a variety of pergola designs, all featuring sophisticated styling and tons of options to blend with any backyard setting in the St. Louis area. With a new canopy shade system available to be used with your pergola, there’s never been a more attractive way to provide relief from the sun or rain. The beauty of the pergola has always been appealing, but now full shade is possible when needed, so function has finally caught up to fashion. We’ve found that the most important character of a pergola lies in the columns that support it. 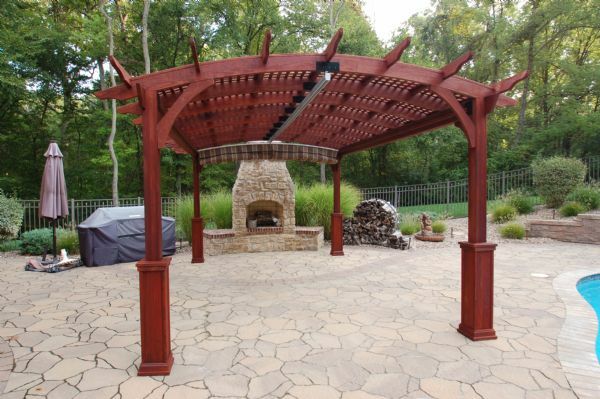 From simple square wood or vinyl columns to larger square and round pillars, mixing and matching the columns with the different styles of tops can help you design the perfect pergola for your St. Louis backyard.